Could not find "Roost-device" network – How can we help? 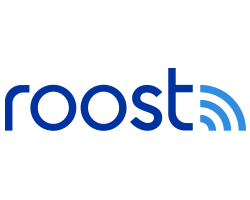 Most Second Generation Roost devices have the ability to broadcast a Wi-Fi network named "Roost-device-xxxx", where "xxxx" is a unique alpha-numeric code. Original Roost batteries and leak detectors do not have the ability to broadcast the "Roost-device-xxxx" Wi-Fi network. You will not find the "Roost-device-xxxx" in your list of Wi-Fi networks. You will need to set up your original Roost device via the audio method. Follow the instructions in your Roost app. First look at the bottom of the battery (opposite the power terminals). The bottom of all Second Generation batteries are blue with a white Roost logo. Original Roost batteries have a blue bottom with a blue Roost logo. The Second Generation batteries which broadcast a Wi-Fi network have an LED on the short side of the battery which blinks red when in setup mode. If you have an original Roost battery or an early version of our Second Generation battery, you can set up your battery using the audio setup mode.